Ausangate probably has the most beautiful natural landscapes in the Peruvian Andes. 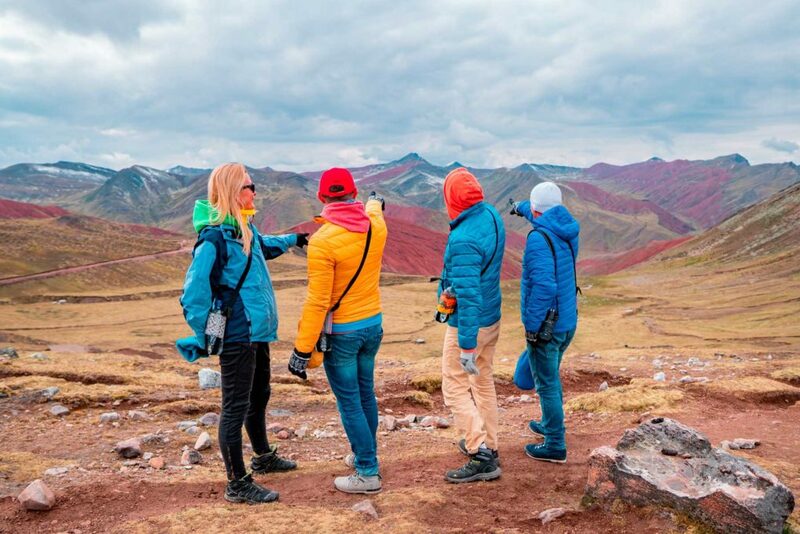 This 2-day tour allows you to enjoy picturesque landscapes, snow-capped peaks, up to 7 colorful lagoons, and a visit to the thermal springs of Pacchanta! 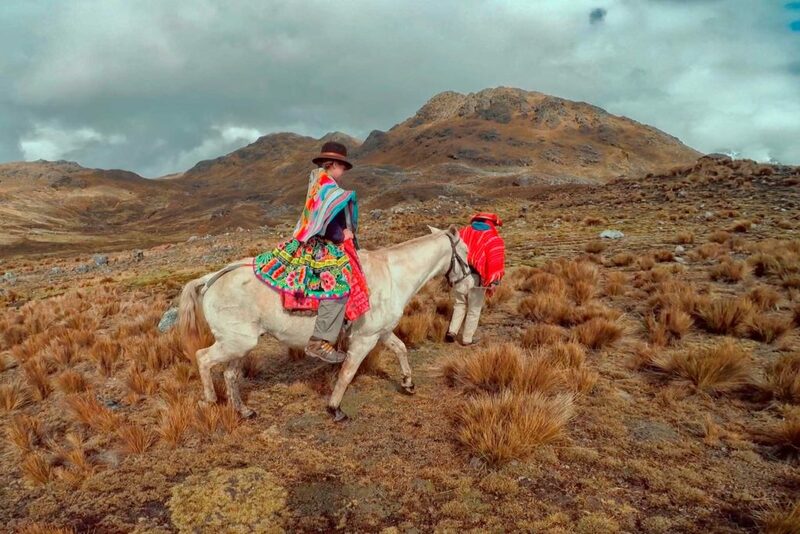 On the route, you can also explore some native communities, colorful ornaments and textiles, the natural habitats of llamas and alpacas, and share the experience of living around one of the highest and most beautiful mountains in the continent. 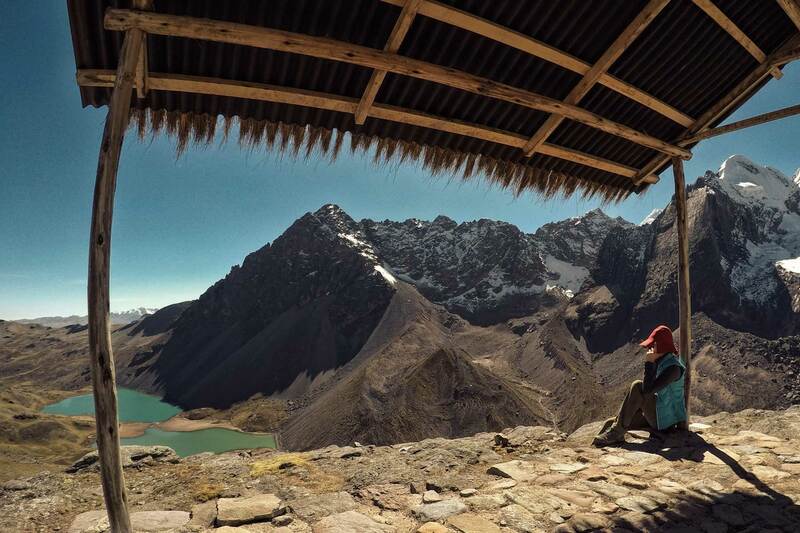 The “Ausangate 7 Lagunas” tour allows you to appreciate a rhythm of life that is quite different from the rest of Peru. It is, therefore, perfect for those who want to get away from the frequented roads and experience a truly authentic place in this beautiful country! 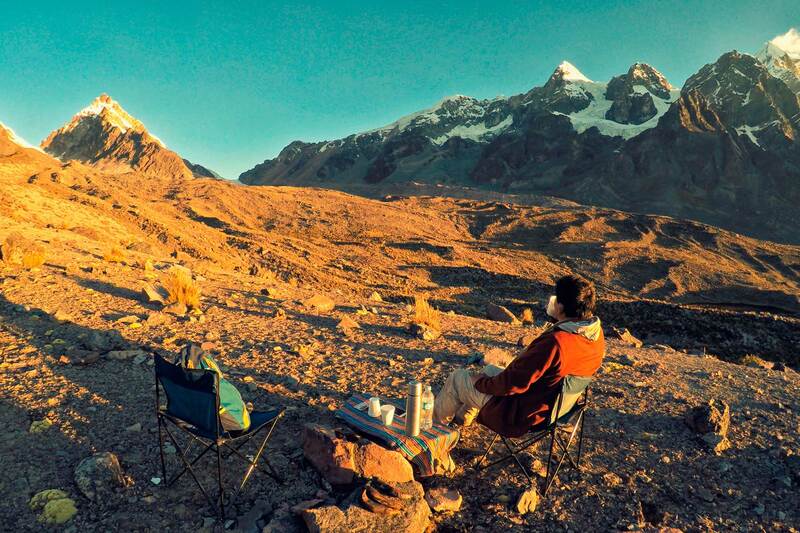 You will be picked up with private transport from your accommodation in Cusco at around 5:00 AM. After being on the road for approximately 3.5 hours, we will arrive at the picturesque town of Pacchanta, where we will meet the muleteer and horses that will accompany us on our trip. 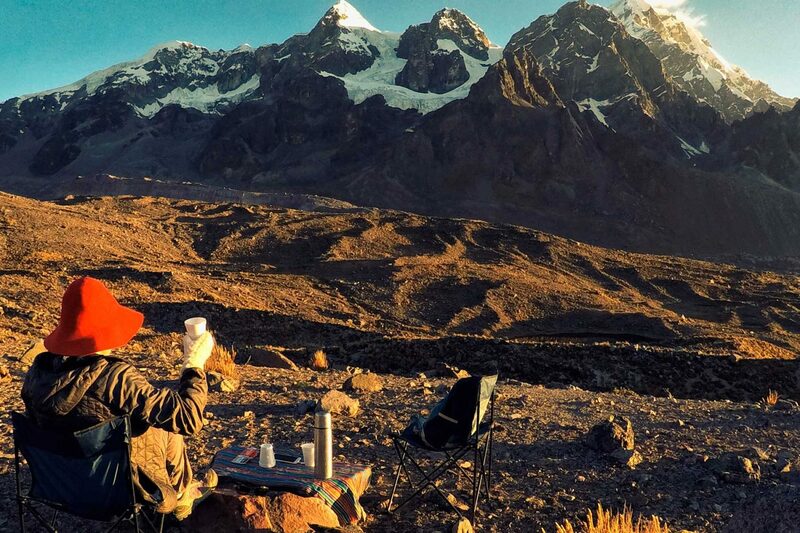 Here, we will also take some time to prepare our clothes and apply sunscreen before starting our adventure of Ausangate! On the first day, we will trek for approximately 7 hours to reach our base camp, stopping on the way to enjoy lunch with a beautiful view of the snowy peaks of the Vilcanota mountain range. 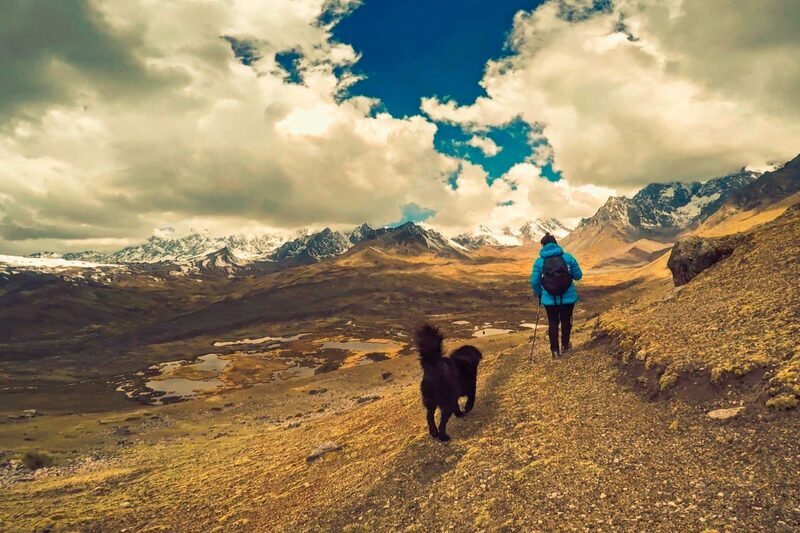 The day’s walk will take us past charming small towns hidden in the Andes, colorful lagoons at the foot of the mountains, as well as herds of llamas and alpacas! 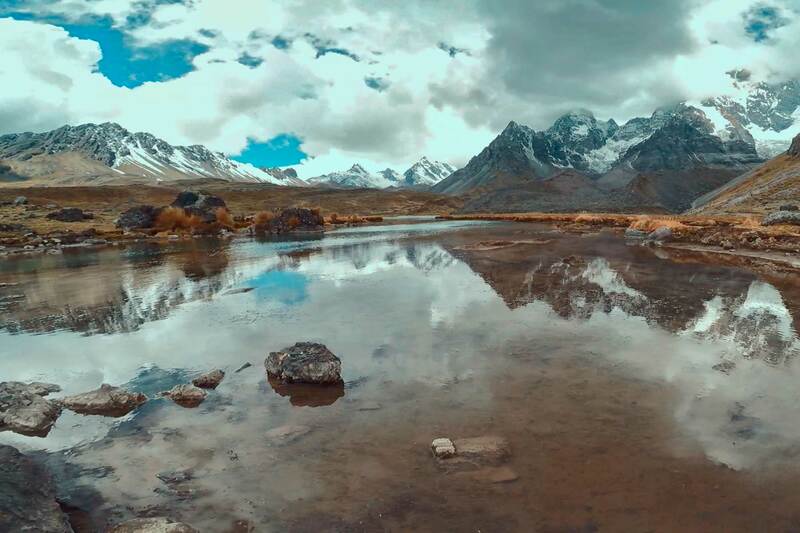 Additionally, as we will walk near the Ausangate mountain for most of the day, there will be many opportunities to see its majestic peaks from various angles (creating perfect photo opportunities). 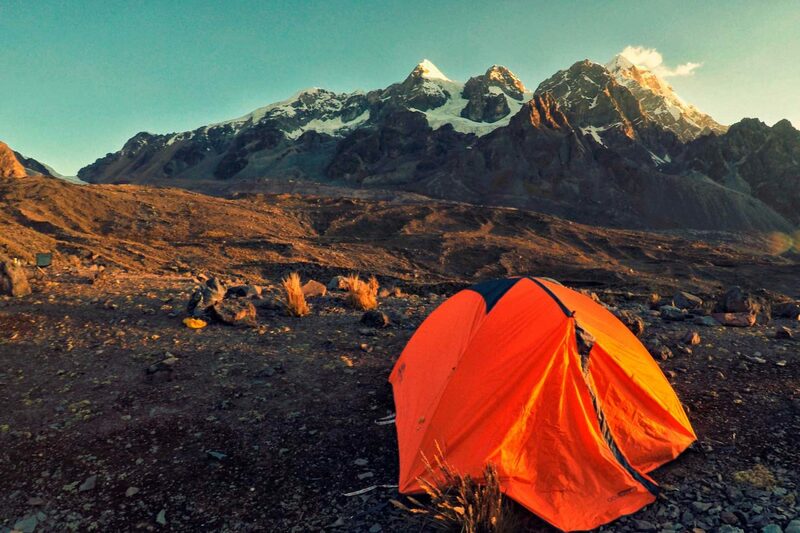 We will arrive at base camp at around 4:00 PM, and after a brief rest we will have time to appreciate even more beautiful views, enjoy a delicious dinner and go to sleep in our tents. We start our second day early, at dawn. 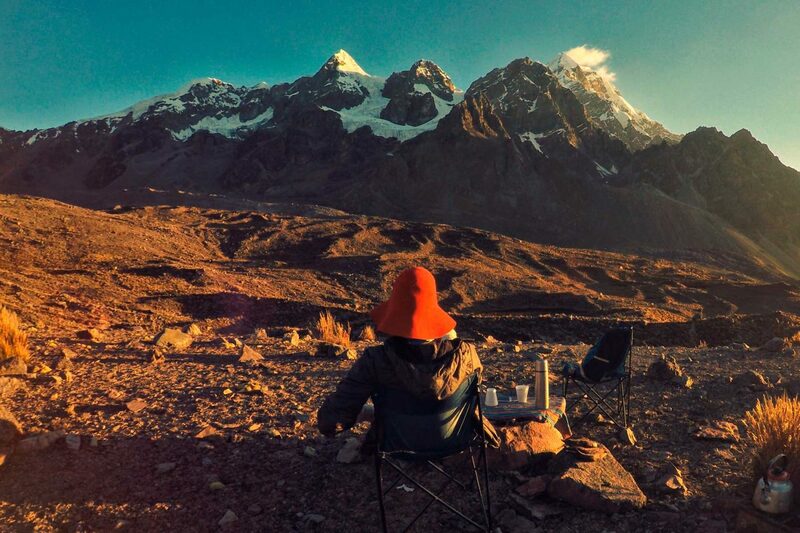 After enjoying breakfast with a view of some really impressive panoramas of the “Tres Picos” mountain range, we will get ready and pick up our things before returning to Pacchanta. 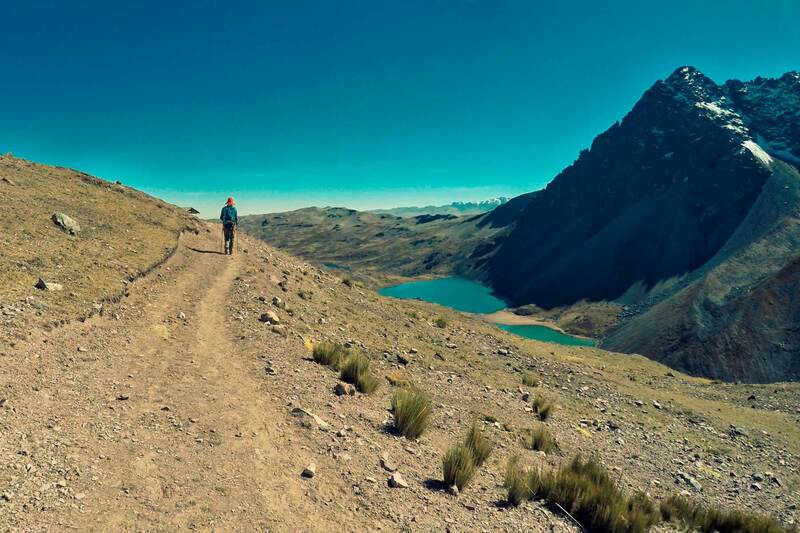 The second day’s walk will take us on a different route, meaning that we can see other lagoons and colorful landscapes. After approximately 5 hours of walking, we will arrive at Pacchanta (at around 1:00 PM). Here, we will re-energize over lunch and in the relaxing hot springs. At around 3:30 PM, we will leave Pacchanta towards Cusco (where we will arrive at around 7:30 PM). 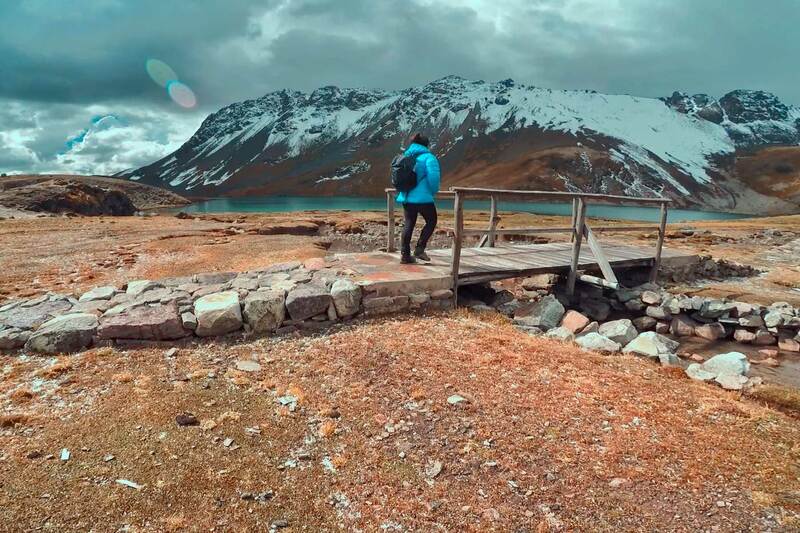 The “Ausangate 7 Lagunas” tour takes place at heights ranging from 15,910 feet (4,850 meters) to 16,400 feet (5,000 meters) above sea level. 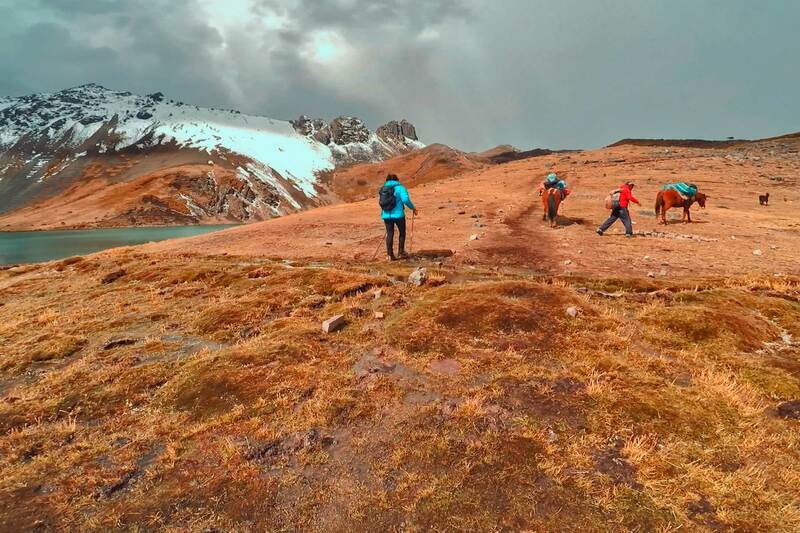 Therefore, it is very important that you are well acclimatized to the altitude BEFORE undertaking the trek. 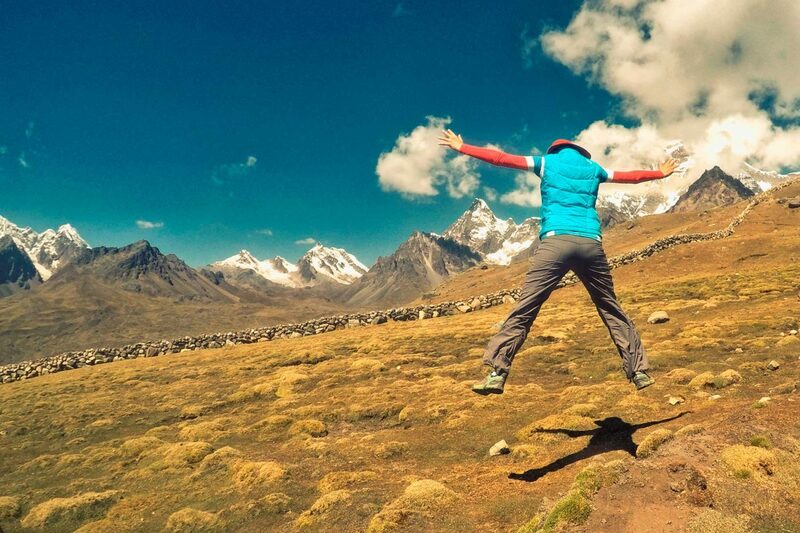 We recommend spending at least 5 days in Cusco or any city with a minimum altitude of 9,840 feet (3,000 meters) before starting the Ausangate walk. 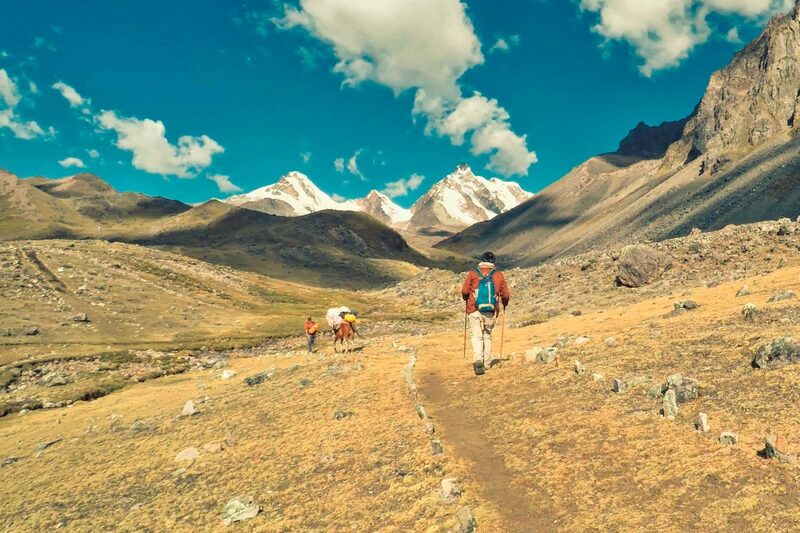 We also recommend consulting your doctor about any allergies that may prevent you from taking any relavent medications (such altitude sickness pills).